When thinking safari, many will think of Africa and the Big Five but at Caiman Ecological Refuge in the Pantanal, it’s all about the Jaguars. A unique take on the safari experience, stay at one of the two lodges and witness first-hand the beauty of this seldom explored region as you head out in search of scarcely studied flora and fauna. A lodge for wildlife enthusiasts looking to immerse themselves in natural wonder and conservation efforts, Caiman is an escape to the wild like no other. 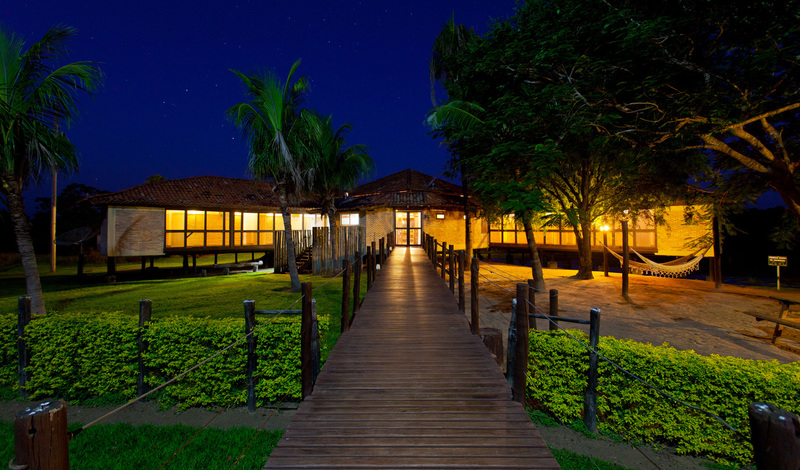 Remote and secluded, Caiman Ecological Refuge is nestled in the heart of Brazil’s Pantanal. A UNESCO World Biosphere Reserve and World Natural Heritage Site, the Pantanal is home to a breathtaking array of wildlife with over 650 species of birds, 400 species of fish and 80 species of mammals to call your neighbors. To get here? True wilderness has never been easy to find – but a three and a half hour flight from Rio into Campo Grande, followed by a two and a half hour drive, will take you there. Don’t fancy the drive? No problem, there’s also a private airstrip amid Caimain’s 53,000 hectares of working cattle ranch to make life that bit slicker. 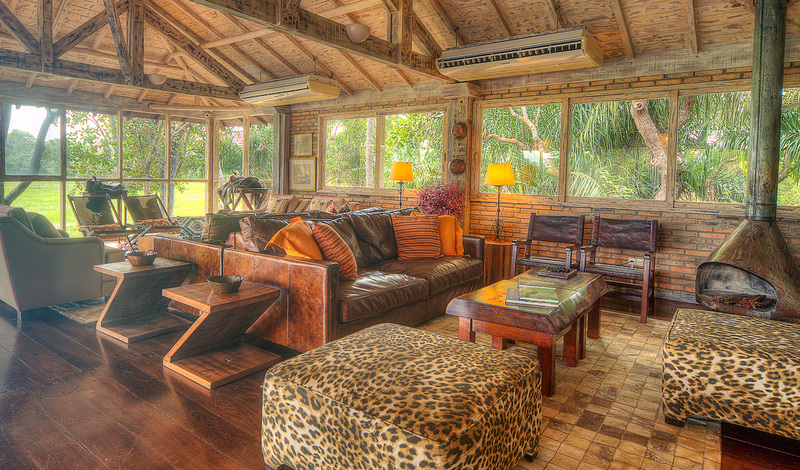 The refuge has two lodges to choose from during your stay. Baiazinha Lodge, on the shores of the lake, is the perfect spot to watch the dreamy wetland sunsets from with the surrounding area flooding seasonally to add to the atmosphere. Decorated the traditional style of the ranch it used to be, it has a large deck with a pool and hammocks to add a touch of modern luxury. Offering a contemporary take on Pantanal luxury, Cordilheira Lodge and its five suites make for the perfect family escape with the option to take over the whole lodge. Boasting balconies overlooking both the lake and the green hills and a pool to cool off in, we knew we would. Pioneers of ecotourism in the southern Pantanal, Caiman Ecological Refuge is built on a passion for conservation that we couldn’t help but fall for. Days here are spent in the company of leading naturalists with everything from walking tours, bike tours and canoe tours to night and jeep safaris, bird watching, and star gazing, taking you closer to this incredible ecozystem. Spend some time discovering the Onçafari Jaguar Project, lending a hand to the Jaguar Habituation Team as you help ensure the protection of the region’s endangered jaguar population.